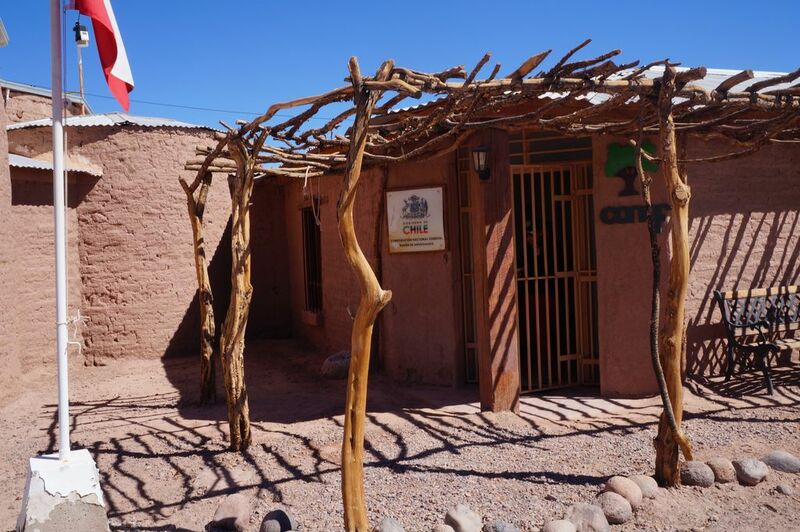 Ecolodge Waira is a place located 13 minutes walking from the main square of San Pedro de Atacama, between the mountains of the salt and the Andes with a privileged view to the Licancabur volcano, our sky is special in our enclosure we do not have pollution luminca. Circular cabin with capacity for 6 people with private bathroom, barbecue, normal energy and solar, overlooking the Andes, has music equipment, free wifi connection, breakfast included. Atacama Domo stars. Geodesic dome for 4 people with shared bathroom, ideal for lovers of Astronomy with a window on the roof for observation of the sky. Eco camping waira. 5 camping sites with shade, barbecue area for barbecue, tables, chairs, sunlight and place to charge energy, refrigerator, private parking. We have an Environmental Education Center in conjunction with the National Forestry Corporation CONAF included within the premises. Desertica Expeditions ecotourism agency in alliance with CONAF performs all ecotourism routes of the northern macrozone with a vision of preservation towards visitors. Ecolodge Waira is located in a natural environment where it is possible to perform activities such as observation of volcanoes and birds, trekking to natural pool and salt mountain range. Astronomical observation through telescope located in the property. Activities related to ecotourism in the whole area.